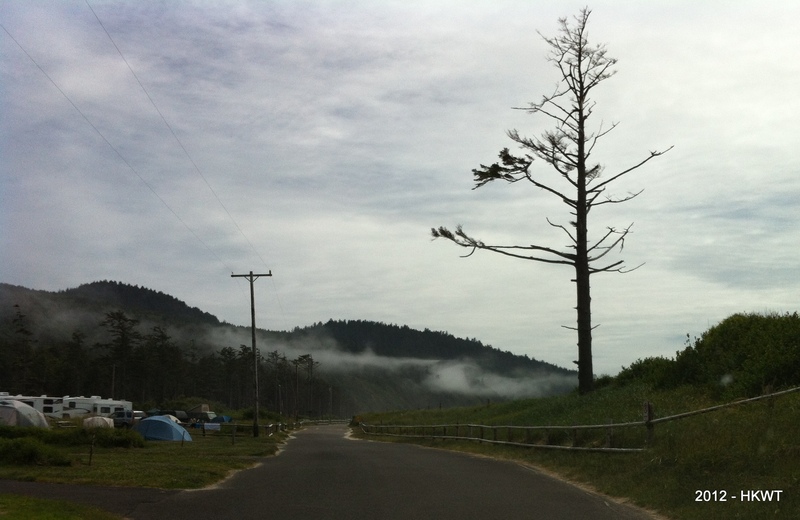 The last few days of our 2 week Redwoods trip, we met up with some friends and camped at Cape Lookout State Park. 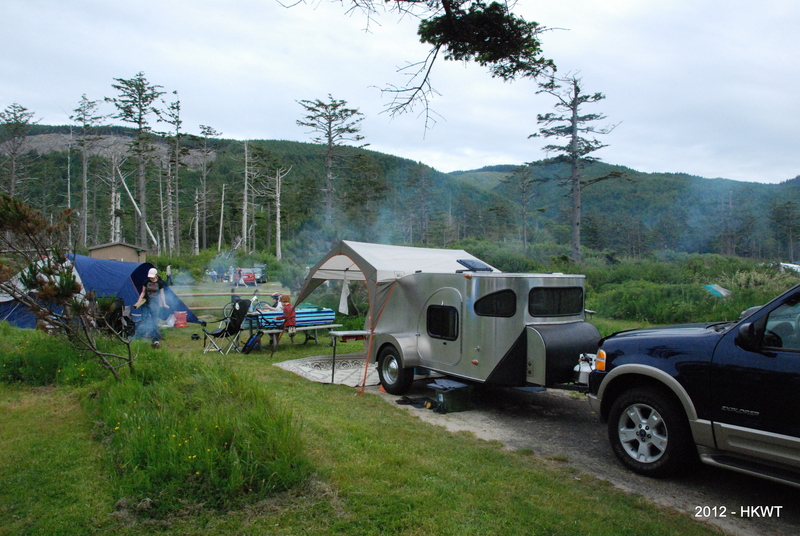 I had read that this was a great campsite and people raved about it. After so many really great, really scenic, really special places, I was a little unimpressed. First off, the sites are very close together, only separated by some tall-ish grass. You are also very close to your neighbors, so all conversations are heard. Our site also had the septic system right behind us, and the amazing smell that can come with that (we were ok with our hard walls, but our friends in the tent didn’t enjoy it). I had been told (after we had been there) that other sites (in B loop for instance) were further apart and facilities were newer (which might have helped with the humidity and wet). The bathrooms had everything we needed (flushies, showers, sinks), but were a complete mess. When they were cleaned, we are convinced they would go in, clean up the paper, and then hose the place down. Everything was always wet (walls, floor, toilet seats…ewwww). We stayed in space A36, which is just over the dune from the beach. The beach is amazing. On nice days it is a great place to hang out. The sand is nice and flat and great for sand castles. The water is cold, but ok for wading (some folks were brave enough to to in, but not us). There are plenty of things to do near by. Tillamook is close, and worth the drive in for some of the tastiest ice cream at the Tillamook Cheese Factory. Next door there is another cheese factory (goat cheese) and they have a petting zoo as well. There is lots of hiking and beach combing. 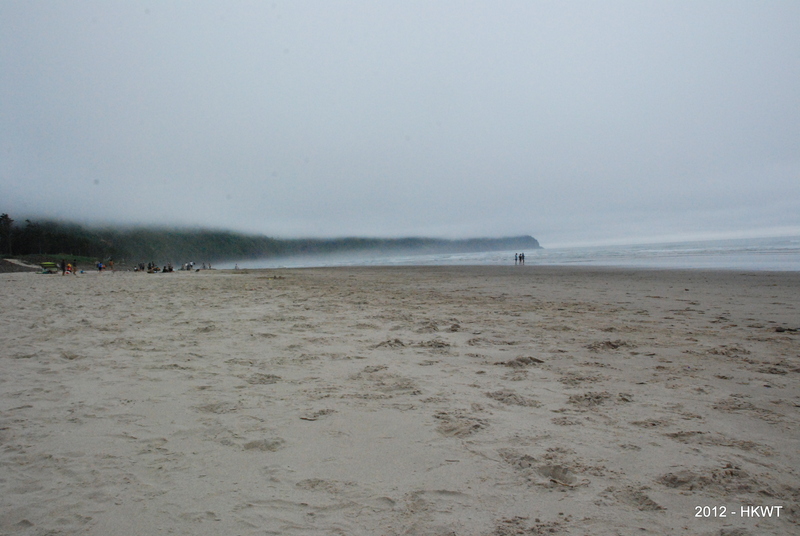 All of that said, I think next time I will try to stay at Nahalem State Park instead. A friend stayed there recently and was really impressed.